Mark Low has been with Lex Brodie's Tire since 2005. Believe it or not, he started as a Tire Technician in our Waimea Store. 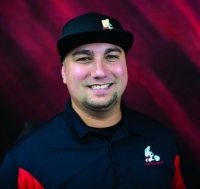 His integrity and great work ethic graduated him to the next levels of a Service Manager, Store Manager and now our Island wide Operations Manager. Mark's organizational skills, ability to plan and execute and coaching techniques made him the perfect fit for his current position. We are also fortunate that he possess a great deal of automotive knowledge and is well liked by his peers and those in his community. Mark was born and raised in Hilo and was a 13 year student from St. Joseph School. He started off his career in the Hotel Industry, but his love for automobiles brought him into our store. He and his wife Sharon have 3 children and a beautiful grand daughter and reside in the Kamuela area. We are Blessed to have Mark on our TEAM! If you have a questions or concerns please feel free to reach out to Mark. You can contact him at [email protected]. Mike's positive approach to Life is what makes him stand out amongst the crowd. He is a true believer that anything is possible as long as you put your mind to it and always do your Best. With his high energy and great outlook, Mike will lead our Sales Team to higher expectations and outstanding customer service. Mike always has a cheerful smile and a warm greeting for you when you walk through our doors and he is willing to go the extra mile to meet all of our customers needs. Come and experience the difference at our Lex Brodie's Tire Stores. If you have a questions or concerns please feel free to reach out to Mike. You can contact him at [email protected]. Kurt is a Certified Public Accountant and brings over 10 years of experience to the Lex Brodie's team. As Controller, he manages accounting operations and is responsible for the financial plans, compliance, policies, and accounting practices of the company. 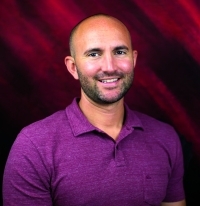 Born and raised in Kona, Kurt graduated from Konawaena High School before earning his bachelor’s degree from UCSB in Business Economics and Accounting in 2006. Upon graduating, he went on to work for Deloitte in Orange County, CA, specializing in accounting, regulatory and audit services and managing and leading day-to-day audit engagements for a broad range of clients. In 2014, Kurt returned to the Big Island and joined Lex Brodie's in 2015. 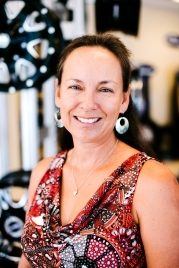 He is an avid paddler and surfer and enjoys spending time with his ohana in Kona. Yes, I am the Anita on the radio for Lex Brodie's Tire. I love hearing from our customers about how our radio spots make them laugh and smile. Josh and I really enjoy doing the spots and I don't mind being the Fall Guy (or Girl in this matter) to get our message across. As long as you like hearing them, we'll keep making new ones for your listening pleasure. About me.... I was born and raised on the Big Island in Hilo. From an early age I could never sit still and my parents allowed me to use my energy to be creative in the arts, play sports and explore. They were also very involved in church & community clubs and organizations and would have us kids tag along to "help". Little did I know that this would help me to develop a knack for planning and executing events, budgeting, working with people and caring for our community. If you have a questions or concerns please feel free to reach out to Anita. You can contact him at [email protected]. 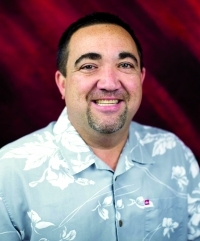 Daniel Perreira now manages the Hilo Store located in Hilo Industrial Area. He previously was the Store Manager for the Pahoa Store before it closed due to the advancing Lava Flow. Daniel has been in the automotive & tire industry for most of his life in which sixteen years have been with us at Lex Brodie's Tire. Prior employment included Firestone & Goodyear. Daniel was born and raised in Hawaii. Attended school at Waiakea Waena and graduated from Waiakea High. He went on to graduate from college at HCC Hilo. Daniel is married to his beautiful wife Tina and together they have 3 children which he says keeps them very busy. His hobbies include camping, hunting, fishing, ATV riding, racing and rodeo. But right now, most of his spare time is spent just trying to keep up with the kids and their sports. Daniel and his staff will always welcome you with Aloha! 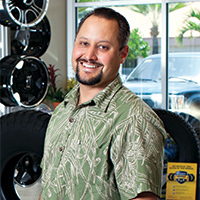 If you have a questions or concerns at our Hilo store, please feel free to reach out to Daniel. You can contact him at [email protected]. We welcome Joseph Foglia to our Lex Brodie's Ohana. 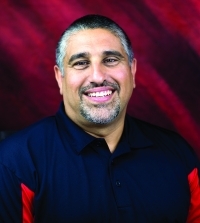 Joseph comes to Lex Brodie's Tire with over 25 years of Management experience. He grew up in New York and traveled across the Continental United States before making his way to Hawaii 9 years ago. He spent his first 6 years on the East side of the Island and then 3 years ago took a job that brought him over to Kailua-Kona. 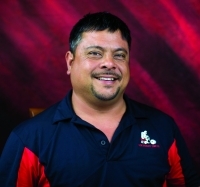 Joseph is Managing our Kailua-Kona location and looks forward to meeting our West Hawaii residents as he helps to take care of their vehicles. If you have a questions or concerns at our Kona Store, please feel free to reach out to Joseph. You can contact him at [email protected].